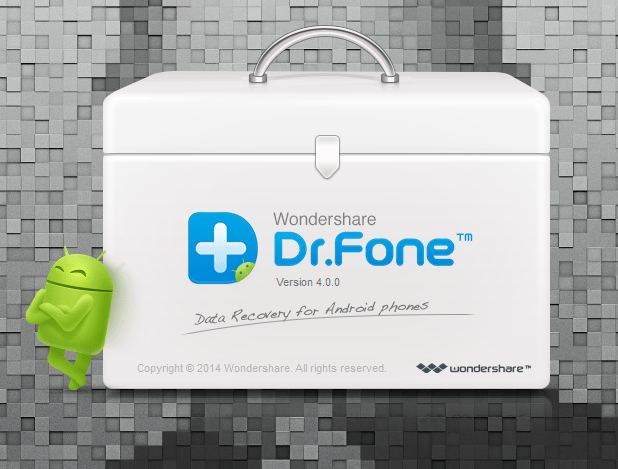 Wondershare Dr. Fone for Android is a great tool to recover lost or deleted data like text messages, contacts, pictures, audio files, documents, videos and much more with the help of this tool. What if you mistakenly deleted or lost your important data from your Android device? If it applies on desktop then it is OK as there are many handy tools which easily recovers your deleted data. But in Android’s case there is no such great tool to do so. Accidentally tomorrow I got to knew about this tool which is very handy to recover deleted data on Android. Here are the things you can do with the Dr. Fone recovery tool and also what kind of file this tool is compatible to recover efficiently. You can also recover every photo, audio and videos associated with your device. 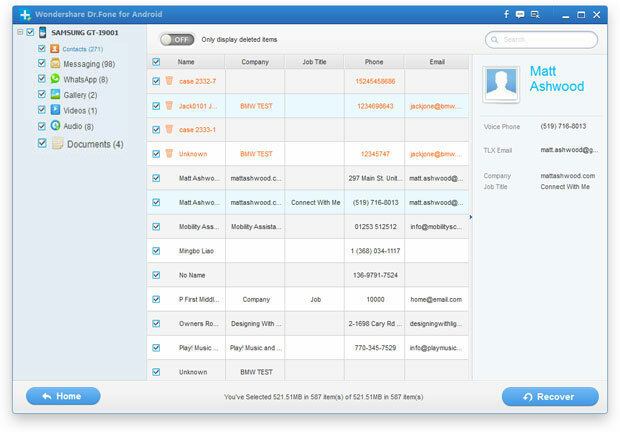 Starting from the very first important data, contacts and messages that you can easily recover. Everyone’s favorite, you can recover full chat history of Whatsapp Messenger. Get your important documents and notes back on your device. Click Here to know more about the compatible device list and download the tool on your computer. When you go for download this tool on your computer you will see two option one is free and another one is paid version. To get the paid version you need to pay $49.95 only/-. Read the tutorial how to use the Dr. Fone Recovery tool to recover deleted data on Android smartphones. Step 1: Download and install the app on your computer. 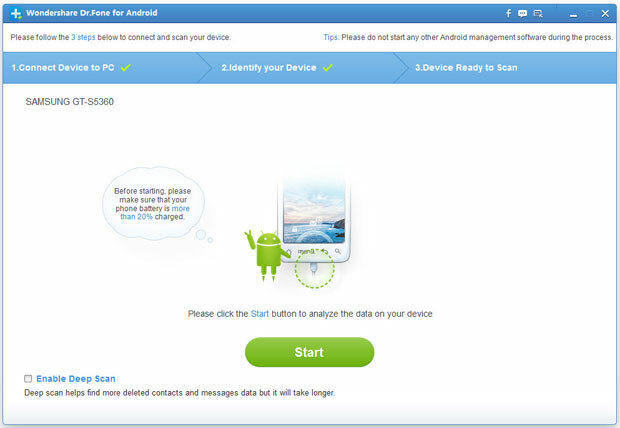 Step 2: Now launch the app from your Desktop, it will ask you to connect your Android smartphone, just do it using USB cable. Step 3: Once your device is connected to your PC and detected by the tool means you are ready to recover your deleted data. Click on the Start button to start the scanning for the deleted files of your Android device. If you don’t get the desired file on the list of files which it shows after scanning, choose Deep scan feature available at left bottom corner of the app. Step 4: Now check the files or data you want to recover. Click on Recover button to get it back. That’s it, you have successfully recovered your deleted file from your Android smartphone. Share this to all your friend to help them.